We are looking for a motivated individual to join the Communication Team at our Brussels Office. You want to grow your communications experience in a hands-on way in Brussels. You have strong writing and editing skills, as well as great spoken English. Knowledge of other European languages is considered a useful asset for your work here. You are clued into trends in communications, social media and current affairs. You are self-motivated and interested in helping people work together to tackle challenges. You are able to perform tasks autonomously and take on responsibilities while coordinating your work with the rest of the team. You are a creative and problem-solving oriented person. Be in contact with high-ranking politicians, project officers and partners across Europe and get inspired by them. The internship period will be up to 6 months, starting in March. You will be considered a full member of the team from Day One. An internship contract must be signed by AER, the trainee and a sending University/School/Institute. You will receive a monthly stipend of EUR 150 during your internship period. Travel and living costs must be covered by the intern. If you are a citizen of a non-EU country, you will have to make sure that you meet all the legal requirements (visa, residence permit, etc.) to stay in Brussels as specified by the Belgian Law for foreigners. Health insurance must be ensured during your stay. 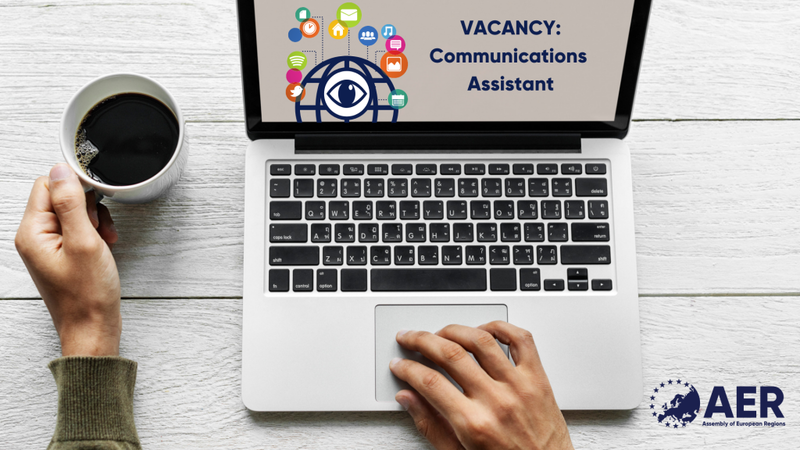 If you are interested in joining us and making AER your next professional experience, please send your CV and cover letter to Erica Lee e.lee@aer.eu by 18 February 2019, with the subject line “AER Communications Assistant” – being sure to mention your availability and the desired duration of the traineeship. Interviews may take place over Skype or in person at the AER secretariat in Brussels at the end of February.